Thank you to Aishti Magazine for featuring The Miraflores Collection by Paul Schatz for New Ravenna Mosaics and the Talya Collection by Sara Baldwin for Marble Systems. To connect with Aishti on Facebook, click here or follow @aishtiworld on Twitter. Castilla, a natural stone waterjet and hand cut mosaic shown in Jura Grey honed and Calacatta Tia polished, is part of the Miraflores Collection by Paul Schatz for New Ravenna Mosaics. 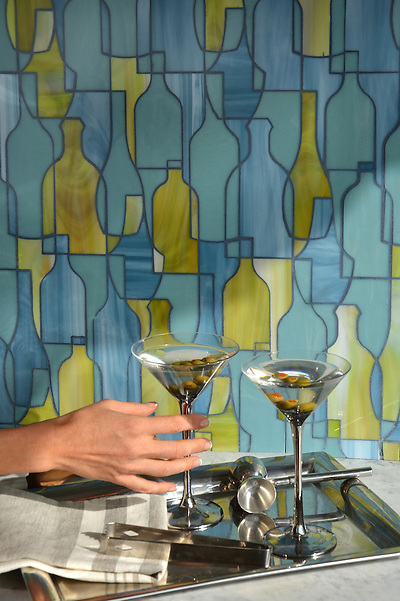 To see more of the Miraflores Collection by Paul Schatz for New Ravenna Mosaics, click here. 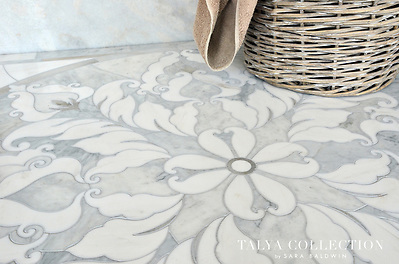 To see more of the Talya Collection by Sara Baldwin for Marble Systems, click here. 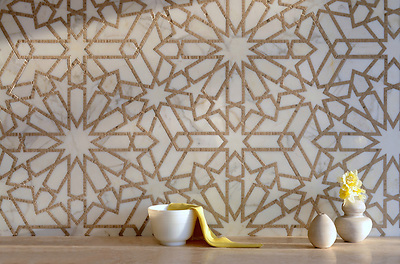 To see more of the Erin Adams Collection for New Ravenna Mosaics, click here. Please feel welcome to share your thoughts and ideas with us by clicking on the gold social media icons below.